Click the banner to hear the radio interview. IssuesEtc where Christianity meets culture. 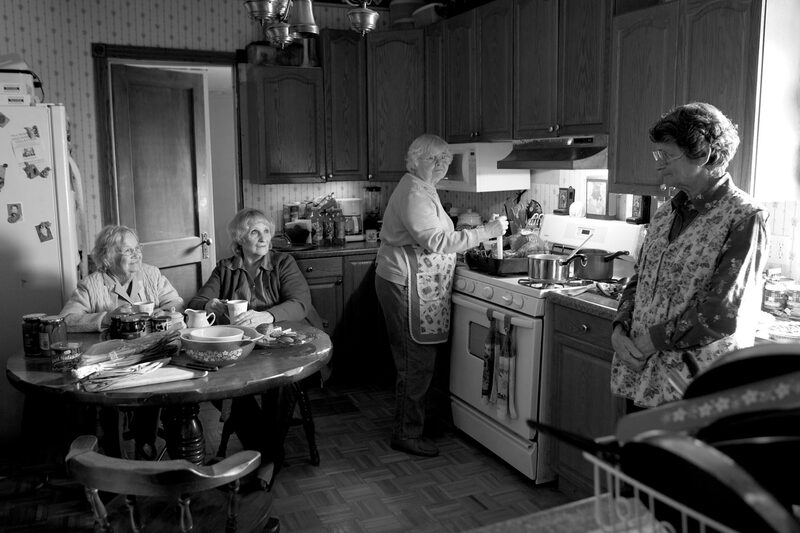 Nebraska(2013) Directed by: Alexander Payne. Stars: Bruce Dern, Will Forte, June Squibb, Bob Odenkirk, Stacy Keach. Runtime:115 min Rated PG (Canada), Rated R (MPAA) for some language. Nebraskatells the story of Woody Grant (Bruce Dern), an elderly man, who upon receiving a million-dollar Mega Sweepstakes Marketing prize notice in the mail has it in his head that he's won the prize and needs to go to Lincoln to collect his winnings. Joined by his son, David (Will Forte), Woody takes a road trip from Billings, Montana to Lincoln, Nebraska to claim the prize. The parallel story centres on David who seems stuck in life and gains new insight into his father's life while accompanying him on his seemingly pointless journey. Woody's wife Kate (June Squibb), David, and other son Ross (Bob Odenkirk), a newscaster in Billings, all know the sweepstakes marketing prize is a scam to sell magazines and that Woody hasn't actually won the money. This is the core of the film—a combination of sadness and ironic humour. Viewers unfamiliar with the Midwestern prairie setting may not always have the inside track on the film’s humour or the sadness underpinning it. 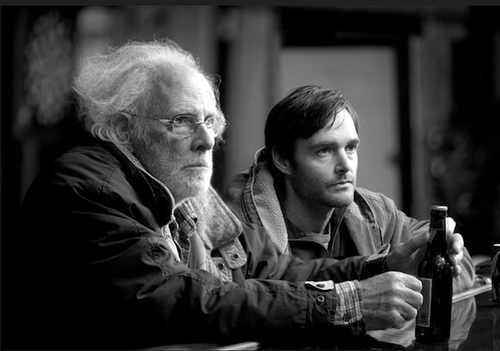 Poignant yet funny, Nebraska is a frank investigation of ageing and generational differences. Woody's son David over-thinks everything while Woody has made major life decisions without that process. These differing approaches are depicted as irksome to both generations and the reactions are rooted in those same generational expectations. When David asks Woody why he and his mother Kate got married, Woody simply says "She wanted to." David follows this up by asking "Didn't you love each other?" To which Woody replies, "[Love] didn't come into it." Woody is saying that back when he was young, getting married was just something you did: If you weren't married to one person you'd just be married to someone else. Is that an old man's interpretation of the past? Is it fatalism? Or is it practicality? Whatever it is, it doesn't sound romantic. Again the contrast between the modern and the past is drawn repeatedly. The film’s location is very important. Nebraska wasn't shot on a Hollywood back lot. Payne pieces together the fictional town of Hawthorne from locations surrounding Norfolk, Nebraska. While a movie like Back to The Futurelargely presents small town America in a nostalgic way, Payne takes all the nostalgia out of it. The choice of presenting the film in black and white also heightens this desire to demystify the small town and provides repeated opportunities to frankly deal with the past failures in the lives of its characters. Towns like the fictional Hawthorne actually dot the landscape of the Midwest right down to the style of cemeteries shown. Upon Kate’s arrival in Hawthorne to meet up with Woody and their son David, she wants to go to the local graveyard to show her 'respects' to Woody's family. In the graveyard David asks his mother, "Where's your family?" to which Kate replies "Oh, they're over in the Catholic cemetery. Catholics wouldn't be caught dead around all these damn Lutherans." This is the sort of detail only a film maker familiar with the surroundings could include. Payne was born and raised in Omaha, Nebraska and he portrays the film’s people and locations in a humorous yet truthful way. However, that being said, much of the film’s humour comes from the audience’s closeness to the material. Nebraska isn't full of one-liners or slapstick antics; its humour is derived from portraying daily experiences with which viewers identify. It’s debatable how funny this movie would be to those going through similar experiences with their own parents or vice versa with their children. There is a point at which the film may hit too close to home. In those cases the poignant qualities of Nebraskashine forth. This complexity is a good reason why it's garnered an Academy Award nomination for Best Original Screenplay. Along with its screenplay nomination Nebraska is also nominated for Best Picture, Best Director (Payne), Best Achievement in Cinematography (Papamichael), Best Actor (Dern), and Best Supporting Actress (Squibb). June Squibb's portrayal of Woody's wife Kate is both surprisingly crass and tender. Kate is a character who seems both to love and hate her husband—sometimes simultaneously. Bruce Dern, who has been acting for more than 50 years, brings a great deal of subtly to the role of the alcoholic and confused Woody. What are Christians to make of Nebraska? At one point in the film someone asks Woody's son David if Woody has Alzheimer's to which his son responds, "No, he just believes what people tell him." In saying this David is putting the best construction on his father's troubles. The father and son spend the film together and much of it is about David looking after his dad. Their relationship dominates the film’s overall narrative. For this reason the heart of the movie for Christians is likely the fourth commandment, “Honour your father and mother.” In Martin Luther's Small Catechism, he explains this commandment saying, "We should fear and love God so that we do not despise or anger our parents and other authorities, but honour them, serve and obey them, love and cherish them." 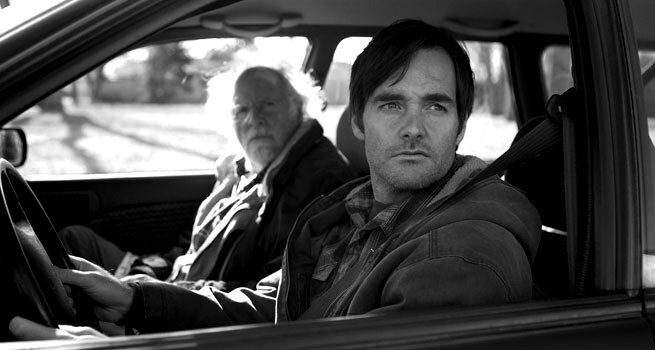 From scene to scene in Nebraska David Grant struggles with honouring his father—sometimes succeeding, sometimes failing. Christians are to remember that their parents are to be honoured even when they are not honourable in the eyes of the world. This is mercy and grace. Nebraska is surprisingly filled with grace—grace for characters who don't deserve it. This potentially will make Nebraska an introspective film for Christian viewers. Filled with dry humour and allergic to sentimentality, this is a movie you should not miss and it deserves its Oscar nominations. If solid acting and thought-provoking humour interest you, then Nebraska's dry wit and subtly grand performances will not disappoint. Luther’s Small Catechism with Explanation, Concordia Publishing House 2005, pg 12. Concordia, The Lutheran Confessions(Pocket Edition): Luther's Large Catechism, Concordia Publishing House 2005, pg 511.